More independent retailers are handing their stores down from one generation to the next. But making the move can be a challenge. 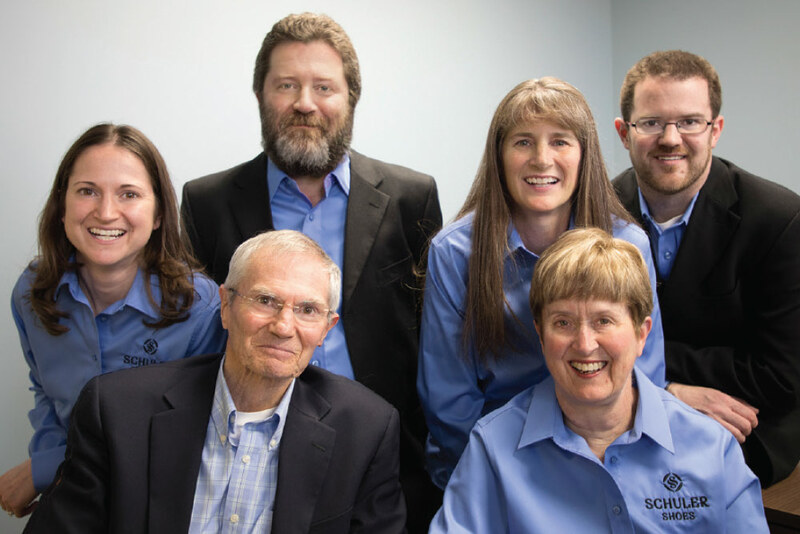 Minnesota marvels: the Schuler family of Schuler Shoes. When John Schuler was diagnosed with cancer in 2005, it came as a stark wakeup call not only about his own future but about the future of his family business. If failing health forced him to relinquish control of his nine Minnesota stores, who would fill his shoes? Schuler Shoes had been handed down through successive generations of John’s family—starting with his great uncle, Vincent Schuler, who founded the family’s first store back in 1889 in Minneapolis—so passing it on seemed the logical choice. After all, John himself had bought the company from his father, Emmett, in the 1970s. The problem was, John had four adult children. All of them worked full time for Schuler Shoes, which John had grown considerably in his three decades at the helm. Three of his children’s spouses were employees, too. Each child had unique strengths and an interest in the company’s future. Choosing one of them as his successor would be akin to picking a favorite from his sons and daughters—and announcing it to the public. It was not an enviable position. Flash forward to 2018 and John, who recovered from cancer but has since faced other health crises, is still in the process of transitioning Schuler Shoes for the future, with input from his children, his wife and his children’s spouses. Such a lengthy timeline is not unusual, according to experts. When it comes to a family business, generational transfers can be both a labyrinth and a landmine, fraught with emotionally charged conversations and tricky family dynamics like sibling rivalry—not to mention complex issues like trusts and estate planning. But, challenges notwithstanding, more and more retailers are making succession a family affair. “Putting a plan for succession in place is really important,” says leadership consultant Diane Nettifee of Magis Ventures, a Minneapolis-based firm that specializes in helping organizations with successful transitions. “People often start too late. They underestimate how much time it takes to get the next generation ready. “You need a development plan that supports the growth of people into their future roles. That’s how you make a transition feel consistent with what’s been good about a business and collaborative so that it helps the next generation of leaders to build on it,” adds Nettifee, who is working with Schuler Shoes on its transition plan. Of course, up-and-comers aren’t the only ones who need support. “The more successful the retailer is, the more tied to their business they are,” says NSRA’s Schuyler. Those ties often make the older generation reluctant to pass the baton. Such was the case for Adam Beck and his cousin, Julia Gomez-Beck, of Beck’s Shoes. When they were in their early twenties, both Becks knew they wanted to take over the family business, a California-based chain poised to celebrate its centennial next year. The younger Becks started a dialogue with their dads and their grandfather, who were then co-owners, about the future of the family business seven years ago and enrolled in NSRA’s Next Generation Leadership Program shortly after it was introduced. The family officially transferred the business to Adam, now CEO, and Julia, now president and COO, two years ago. “We’ve been profitable 22 of the last 24 months,” says Beck, 37, of the enterprise, which now includes 12 stores, three shoemobile trucks and a thriving web business. “Succession of any family business is extremely difficult, and the shoe business is difficult on top of that, so if you don’t have full transparency, the odds of taking it to the next generation are slim,” says Beck. “You need to know how to read a P&L and you need to know how to have strategic conversations with your family. You have to define what success will look like together. Is it a two percent annual increase in profits? Three percent? If you’re not all on the same page, it’s like going on a cross-country road trip with a destination in mind but without a map. We put a four-pronged approach into place for our succession: 1) Where have we been? 2) Where are we now? 3) Where do we want to be in the future? 4) How are we going to get there? Then we met at least once a month for a few hours to hash this stuff out over more than five years, and every time we ended a succession meeting, we scheduled another.” Another key, Beck says, is to have a good working relationship with your CPA, legal counsel, insurance broker and lawyer. For Mark Farber of Mark Adrian Shoes—founded in Gloucester, MA, in 1975—passing the family business on to his son, Adam (the fifth generation in the family to become a shoe retailer) proved challenging but ultimately rewarding for both generations. New England stalwarts: the Farber family, of Mark Adrian Shoes. For help working through the wrenching emotional side of putting the family’s legacy into younger hands—as well as the practical aspects of the process—an impartial third-party expert can prove invaluable, as Farber, Beck and Schuler all discovered. 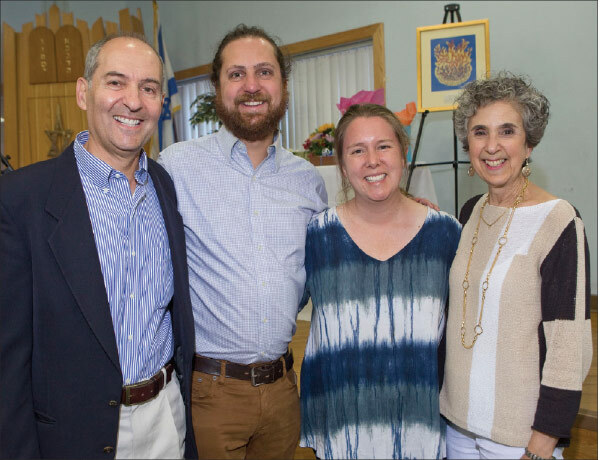 For the Schuler family, having a consultant is not only facilitating dialogue but helping to move the transition forward while protecting family ties. “The most important thing for us is that we come out of this transition with strong family relationships,” says Schuler, “but trying to balance not hurting people with doing what’s right for the business has been challenging. Our consultant talked one-on-one with each of us. Then she had me interview my kids and them interview me about our goals, dreams, fears and our vision for the company. It’s helped us to be transparent with each other and to work through problems. Tips on transitioning a business from one generation to the next. • DO start early. Transitioning a business successfully takes years. • DON’T be afraid to look outside the family as you make your succession plans. “If you don’t have any relatives who are capable of or want to assume leadership of the organization, it’s important to know that early,” says Nettifee. If this happens, you’ll need to search for an outside leader to come in and run the company, reporting to stakeholders in the family—and the younger generation of stakeholders may want to be involved in the selection process. • DO make sure the current generation of owners sets the timetable and controls the clock for succession, advises NSRA’s Chuck Schuyler. This gives the current generation time to transition out comfortably and their students time to gain experience. • DO be honest about your strengths and weaknesses and those of your family members, no matter which generation you’re in, advises Adam Beck of Beck’s Shoes. “You need to be objective and you need to be selfless to succeed,” he stresses. • DON’T put your personal goals above your family or the long-term health of your business. “When you step aside, you allow your children to spread their wings and flourish outside of your shadow,” says Mark Farber of Mark Adrian Shoes. What’s more, you model a good example for them to follow when it’s their turn to step aside so their own children can eventually succeed them in running the business you helped to build, he says.